Background: Neonatal respiratory distress syndrome (NRDS), a life-threatening pulmonary disorder, involves 1% of all deliveries worldwide. Shallow breathing causes restlessness in infants, which itself affects pulmonary function; thus, sedative medications are used to preserve better pulmonary function. There are different opinions about the benefits and superiority of these drugs. Objective: The study purposed to assess and compare the effects of fentanyl and midazolam on the required time of mechanical ventilation in infants with respiratory distress syndrome (RDS). Methods: In this randomized clinical trial, 60 infants with RDS were randomly allocated to 2 groups (30 infants each); the first group underwent sedation with midazolam (0.1 mg/kg), and the second group received 0.5 mcg/kg of fentanyl during ventilation. The duration of hospitalization, required time of ventilation, drug complications, feeding intolerance, as well as pneumothorax incidence and need for re-intubation were recorded and compared between the 2 groups. Results: Eventually, 60 infants (45 male and 15 female) with a mean gestational age of 37.13±1.22 weeks in the midazolam group and 36.73±1.50 weeks in the fentanyl group underwent analysis (P value=0.449). Infants in the midazolam group had a mean length of stay of 11.96 ± 3.41 days, while mean length of stay was 10.36±3.57 days for infants in the fentanyl group (P value=0.039). Mean duration of mechanical ventilation was 4.6±2.14 days in the midazolam group and 4.06±2.04 days in the fentanyl group (P value=0.252). Conclusion: The findings suggest that midazolam is a more suitable medication for the sedation of infants under mechanical ventilation in comparison with fentanyl; however, its side effects, such as apnea, pneumonia, and seizure, should be considered. Lynch RG. Surfactant and RDS in premature infants. FASEB J. 2004;18(13):1624. Henderson-Smart DJ, Wilkinson A, Raynes-Greenow CH. Mechanical ventilation for newborn infants with respiratory failure due to pulmonary disease. Cochrane Database Syst Rev. 2002(4):Cd002770. doi: 10.1002/14651858.CD002770. Stevens TP, Blennow M, Soll RF. Early surfactant administration with brief ventilation vs selective surfactant and continued mechanical ventilation for preterm infants with or at risk for RDS. Cochrane Database Syst Rev. 2002(2):Cd003063. doi: 10.1002/14651858.CD003063. 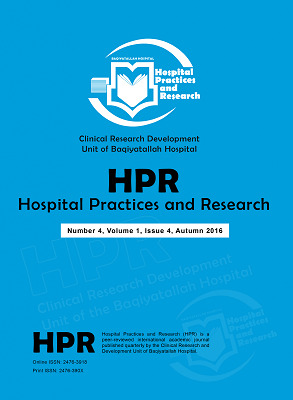 Najafian B, Karimi-Sari H, Khosravi MH, Nikjoo N, Amin S, Shohrati M. Comparison of efficacy and safety of two available natural surfactants in Iran, Curosurf and Survanta in treatment of neonatal respiratory distress syndrome: a randomized clinical trial. Contemp Clin Trials Commun. 2016;3:55-9. doi: 10.1016/j.conctc.2016.04.003. Goldsmith J, Karotkin E, Suresh G, Keszler M. Assisted Ventilation of the Neonate: Evidence-Based Approach to Newborn Respiratory Care. Elsevier Health Sciences; 2016. Najafian B, Khosravi MH, Setayesh F, Shohrati M. comparing the effect of inhaler N-acetyl cysteine and intravenous dexamethasone on respiratory distress syndrome in premature infants: a randomized clinical trial. Thrita. 2017;6(1):e46268. doi: 10.5812/thrita.46268. Shapiro PA, Fedoronko DA, Epstein LA, Mirasol EG, Desai CV. Psychiatric aspects of heart and lung disease in critical care. Heart Fail Clin. 2011;7(1):109-25. doi: 10.1016/j.hfc.2010.10.002. Tobias JD. Sedation and analgesia in the pediatric intensive care unit. Pediatr Ann. 2005;34(8):636-45. doi: 10.3928/0090-4481-20050801-12. Rosen DA, Rosen KR. Midazolam for sedation in the paediatric intensive care unit. Intensive Care Med. 1991;17 Suppl 1:S15-S19. doi: 10.1007/BF01731149. Ancora G, Lago P, Garetti E, et al. Efficacy and safety of continuous infusion of fentanyl for pain control in preterm newborns on mechanical ventilation. J Pediatr. 2013;163(3):645-51.e1. doi: 10.1016/j.jpeds.2013.02.039. Zhu Y, Wang Y, Du B, Xi X. Could remifentanil reduce duration of mechanical ventilation in comparison with other opioids for mechanically ventilated patients? A systematic review and meta-analysis. Crit Care. 2017;21(1):206. doi: 10.1186/s13054-017-1789-8. Welzing L, Oberthuer A, Junghaenel S, Harnischmacher U, Stutzer H, Roth B. Remifentanil/midazolam versus fentanyl/midazolam for analgesia and sedation of mechanically ventilated neonates and young infants: a randomized controlled trial. Intensive Care Med. 2012;38(6):1017-1024. doi: 10.1007/s00134-012-2532-1. Romantsik O, Calevo MG, Norman E, Bruschettini M. Clonidine for sedation and analgesia for neonates receiving mechanical ventilation. Cochrane Database Syst Rev. 2017;5:Cd012468. doi: 10.1002/14651858.CD012468.pub2.